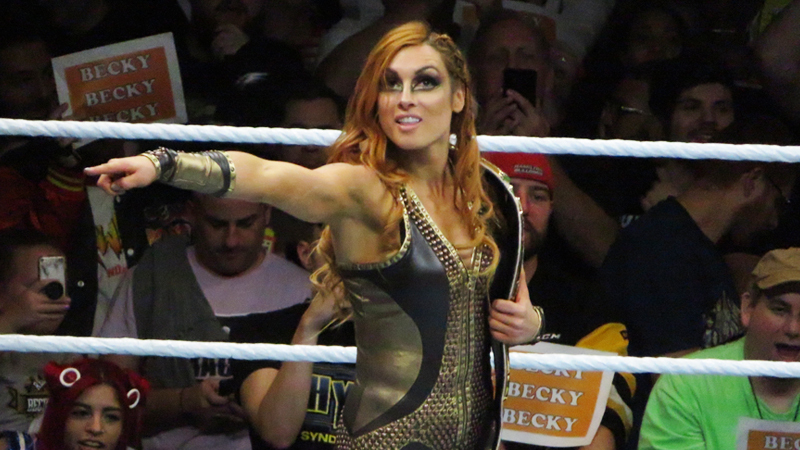 Becky Lynch proved why she is indisputably one of the most must-watch WWE Superstars today by leading a stunning SmackDown Live women’s charge on the RAW Women’s roster on RAW. And what was even more entertaining was that she went straight for Ronda Rousey first, taking the Rowdy out of the equation after locking in a Disarm-Her in the lockerroom. She then led the charge into the ring to do battle with the remainder of the RAW women’s lockerroom, during which she ended up possibly breaking and bloodying her nose. However, she still continued inflicting punishment, taking out Rousey again, this time with a steel chair. And while she came across as a star throughout the whole segment, her post RAW reaction to her bloody nose is one of the reasons why Becky Lynch has become such a hot favourite of the WWE Universe of late. There’s the face of the Women’s Revolution, right there.